Before the Oslo Accords, all the Palestinian factions shared a common goal: to wipe Israel off the map and replace it with Palestinian Arab Muslim state. Then in 1993, on behalf of the Palestinian Liberation Organization, Yassir Arafat officially recognized Israel's right to live in peace and security and renounced the use of violence and terrorism. As everyone now knows, Arafat was crossing his fingers. He didn't give up terrorism. On the contrary, after signing the Oslo Accords, Palestinian terrorism increased. Nor did Arafat's political party, Fatah, give up on its aspiration to replace Israel with a Palestinian state. The Palestinians still haven't given up on this goal. The latest concrete manifestation of Fatah's ambition to remove Israel from the map comes in the shape of Fatah's recently remodeled logo, which includes a map of "Palestine" represented as a checkered keffiyeh that happens to include all of Israel. Nor has Fatah truly repudiated violence. The new logo was issued to mark the 48th anniversary of Fatah's first terrorist attack against Israel in 1964. Israel accepts the Palestinian right to a state of their own, but the Palestinians will not reciprocate. Before accepting this framed map, Abbas stated: "I say this clearly: I do not accept the Jewish State, call it what you will." Why don't we have peace between Israel and the Palestinians? Because the Palestinians want to wipe Israel off the map. The silver lining is that they can't. Funny how Palestinian maps that erase Israel never show the larger part of Palestine that's been under Jordanian rule since '48, where about 1.5 million Palestinians live. I'm a writer, book editor and creative writing teacher. 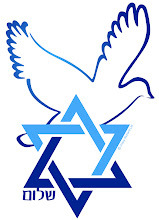 I publish frequently in the Jewish Tribune, a weekly community newspaper. Most of my pieces are re-published at Harry's Place or the Engage website in Britain.